Dog Health & Safety | bloat in dogs - when being paranoid is a good thing! Bloat is a word to fear. Actually what bloat does is what’s to fear. Bloat is a killer and it kills FAST! From the time a dog begins to bloat you have *maybe* an hour to get your dog to a vet and an hour is in many cases, pushing the envelope to far. For anyone who’s vet is not located close-by and I mean *really* close, you’ve got a major problem on your hands if your dog bloats. I’d never heard of bloat until I got German Shepherds. Bloat is most prevalent in bigger dogs, more specifically dogs with the barrel or deep chests. 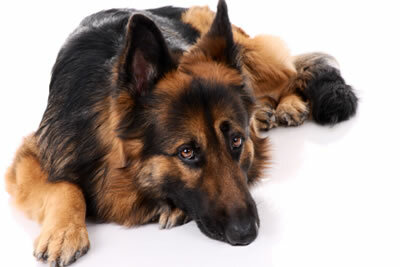 German Shepherds are on the list of about 45 breeds of dogs that are prone to bloat. This doesn’t mean *any* dog, no matter what size can’t bloat, so don’t even think that if you have a little fluff-ball dog that he’s 100% safe because you are only fooling yourself and putting your dog in unnecessary danger. The chances of a smaller dog bloating are substantially less as I understand it, but they’re not non-existent. The older a dog gets the more his chances for bloating increase, but that doesn’t mean puppies can’t bloat either – they can! Bloat on its own is not quite as dangerous as bloat with torsion is. Torsion is when the stomach twists and the dog’s intestines and organs begin to die because of the lack of oxygen caused by the twisting effect. This does not mean that bloat alone is not a killer because it is and there’s no way to tell if your dog’s innards have twisted into a deadly mass of dying tissue without an x-ray. Bloat with torsion is the bigger killer and the one to be most feared. I’ve you’ve never heard of bloat, bloat with torsion or perhaps have heard of it but have managed to ignore or blown off learning more about it, please …. put it on the top of your priority list right now! Bloat can happen at any time. It isn’t necessarily going to happen say right after a dog eats and there’s no way to predict it happening. Some say that the overnight hours seem to be a common occurrence. When I learned about bloat, I asked my vet if they were set up and skilled in handling bloat cases. She told me in no uncertain terms, do not even bother to call her because they are not set up or skilled for bloat cases and that I’d only be wasting precious potentially life-saving time if I called her instead of going directly and immediately to an emergency vet. Do not skip GO do not collect $100 … just GO! 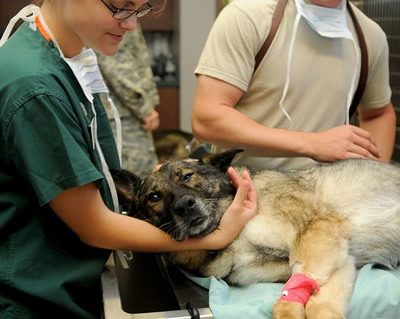 Emergency vets are like the ones you see on the Animal Planet tv station. This kind of vet is generally what you need and need fast if you suspect your dog it bloating. the way I understand it, apparently your “general practitioner vets ” just don’t have the equipment or skills to handle something this serious. The closest emergency vet for us is 45 minutes away and so our furkids are definitely in danger of dying if they begin to bloat. My vet further told me that most dogs do not survive bloat and so I could very well make that mad dash to the e-Vet and my dog could still die. Will that warning stop me from trying to get there? Absolutely NOT! If my dogs begin to bloat, you can bet that my SUV will sprout wings to get us there! So, what now? Do I just live in panic the rest of my life that my dogs may bloat? Well, that’s not so far from the truth …. anyone who knows me knows that I *am* paranoid about it, but ya know what? That’s ok because being paranoid may just help save my dog’s life if I ever have to deal with it. To me being paranoid about bloat, will keep me from forgetting about it and it will prompt me to continue to stay as current as I can on ways to help prevent it from happening at all. Can I be 100% sure that I can prevent it? NO! No one can, you can only try to prevent it. I prepared a document that has all the known symptoms of bloat on it, what to do if bloat is suspected and the phone number, address and directions to our e-Vet. This is now stuck on my fridge so I don’t have to go hunting for my dog’s file folder to dig it out. I purposely created it in large print so that I don’t have to worry about finding my glasses in a potential bloat emergency. My husband wouldn’t know where to look for this information in a file folder and he’s not as up on bloat issues as I am. Health issues with our furkids is pretty much my job. He has some basic knowledge of the symptoms and he definitely knows that bloat can kill our dogs in a heartbeat but he will definitely look to ME to tell him what to do should it happen at our house. This will also make it easy for him to refer to if he’s here one day and I’m not and bloat sets in. It’s typed in big letters so neither one of us has to even look for our glasses should we need it. If you Google for various phrases on bloat you’ll find lots of information. I’ll put some links at the bottom of this article for you but please don’t let these be the only articles you read. Learn as much as you can and get as prepared as you can. If you’re not educated on bloat and it happens and you don’t know what the symptoms are or what to do, it’s pretty much a sure death sentence for your dog. You simply will not have time to be looking things up and running to the store for things that might help at that point. What needs to happen is for you to know what the symptoms are or at the very least have them written down and put in a safe place that you can put your fingers on this information in as few seconds as possible. You then need to take the initial steps which may buy your dog enough time for you to get him to the vet and then you need to go to the vet immediately. As a courtesy and in my hopes of helping you to help your dog if you suspect bloat, I developed a PDF copy of the document I have hanging on my fridge in a format that anyone can use. You are free to download it and add your own eVet information to the bottom of the document. I urge you to keep it in a safe, visible place should you ever need it. Make sure your family members read it and know where to find it. Just click the Adobe logo to download the document. I won’t lie to you, e-Vets are expensive. Bloat is a huge reason why if you aren’t well-off in the money department, you need to have a dedicated credit card for pet emergencies. There is a credit service called CareCredit that provides emergency credit for pet emergencies that you should try to get before you need it. You don’t need to get to the vet and find out you can’t get approved, because then it’s to late. There may be other companies that provide this service, but CareCredit is the one I’m familiar with. You should also determine ahead of time if your selected e-Vet accepts CareCredit, not all do. If you don’t have a CareCredit or other veterinary emergency card, have a regular credit card with a zero balance on it that you use strictly for pet emergencies. If you can’t get a credit card, put some money away every pay day or chance you get a few bucks to toss in the piggy bank. If you do this, you probably won’t be one of the people that has to make the heart-breaking decision to have their pet put down just because the cost to save them is higher than what your wallet allows. Yes, we did have a bloat-scare here. It was a few months ago that one day he started showing symptoms. I was home alone when it happened, my husband had left for the golf course about 20 minutes before it all started. Unfortunately for me, he leaves his cell phone in the car when he goes golfing. I won’t go into all the details and as it turns out it wasn’t bloat but their was an obstruction in his tummy. He spent the night at the e-Vet and he didn’t need any surgery thank goodness. It cost us almost a thousand dollars, but he’s alive and doing fine! Had I not known the symptoms I very well could have just blown it off as him just not feeling well and he could have died. 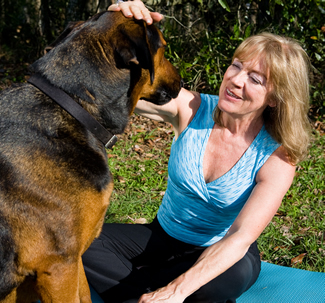 Bloat is one darn good reason why you should know your dog’s ways well. Some of the symptoms of bloat are very subtle, they present as a dog who’s just not feeling well. Many people would not take any action with the symptoms Riley displayed because some of the early symptoms are so slight and they just don’t seem like an emergency is looming ahead. I’m not a vet or a vet-tech, so the information I’ve provided you with is only my own words on what I’ve learned about bloat. 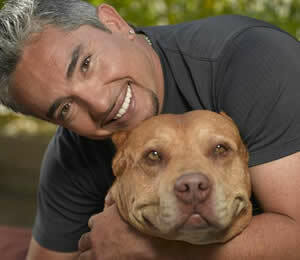 Please, check with your veterinarian and read, read, read all you can on it. Then take the steps recommended in the links below so that you’ll be prepared if your dog does begin to show symptoms no matter how insignificant they may seem. Thank you for this very important and extensive information. I will be sharing…and I’m certainly glad Riley did not have bloat.